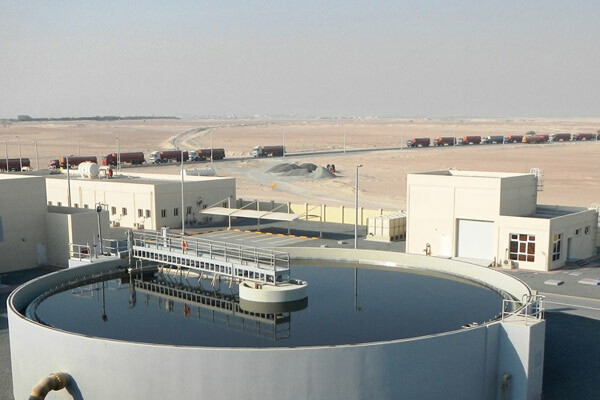 The UAE Ministry of Climate Change and Environment has signed an agreement with global industry majors NV Besix, TG Eco Holding and UK-based Green Revenires for the construction and operation of a municipal solid waste treatment plant and and alternative fuel production plant in the northern emirate of Umm Al Quwain. The project is being developed by a committee in charge of implementing the initiatives of President His Highness Sheikh Khalifa bin Zayed Al Nahyan, represented by the Ministry of Climate Change and Environment. The 40-hectare plant will come up in Al Madfaq area around 20 km north of Umm Al Quwain and 2.5 km west of the Sheikh Mohamed bin Zayed Road. It is likely to begin operating in the second quarter of 2020. The plant is being built at a cost of Dh132 million ($36 million) and will utilise the latest technologies to produce alternative fuel from solid waste. It will have a maximum daily processing capacity of 1,800 tonnes of solid waste, which will be used to produce alternative fuel. Saif Mohammed Al Shara, the assistant under-secretary of the Ministry of Climate Change and Environment for the sustainable communities sector, signed the deal with representatives of NV Besix S.A, TG Eco Holding, and Green Revenires from the UK at the Abu Dhabi Crown Prince’s Court. The signing cermony was attended by Dr Thani bin Ahmed Al Zeyoudi, Minister of Climate Change and Environment, and Jaber Mohammed Ghanem Al Suwaidi, General Director of the Crown Prince’s Court of Abu Dhabi. Al Zeyoudi said the project was in line with the country’s sustainable development goals, as well as the goals of the national agenda of the UAE Government 2021 to treat 75 per cent of solid municipal waste using alternative methods instead of dumping in landfills, through utilising the latest international environment-friendly technologies. This comes in light of the challenges facing the world, most notably population and economic growth and changing patterns of production and consumption, which have led to more waste and the growing use of landfills.